On Feb. 20, the Trump administration abandoned negotiations with California over Clean Car Standards, signaling its intention to roll back our nation’s best climate program and prevent states from adopting their own. California currently has authority under the Clean Air Act to set its own standards, and 13 other states have followed California's lead. “Americans innovated the mass production of cars, and we’ve been at the forefront of auto technology ever since—including how to make them cleaner," said Andrea McGimsey, senior director of our national network's Global Warming Solutions campaign. "With the threat of climate change looming ever larger, we must accelerate toward low and zero-emission cars and trucks, not swerve in the opposite direction." 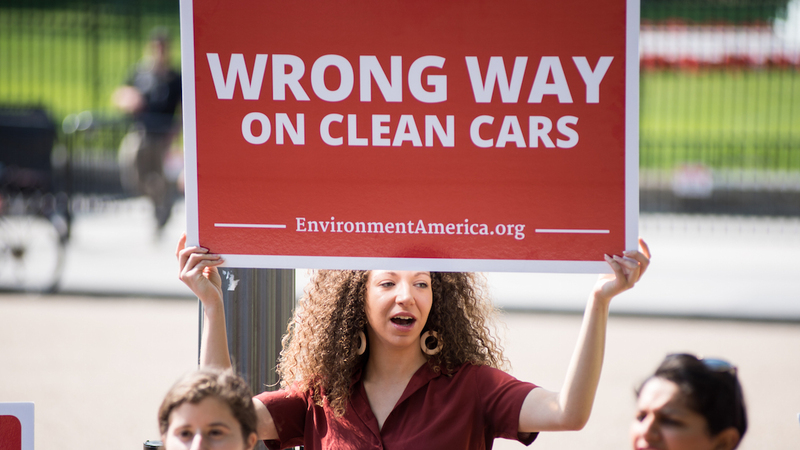 Twenty-one states and the District of Columbia have announced their intention to sue the Trump administration to defend states' authority to set Clean Car Standards.